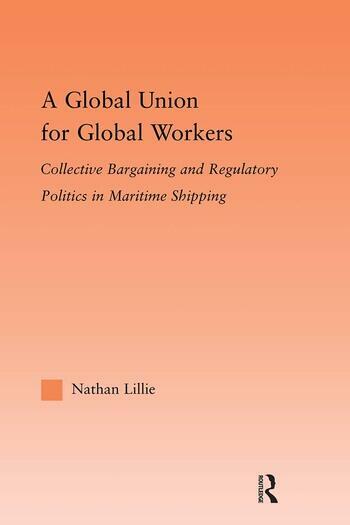 This is a book about how global unionism was born in the maritime shipping sector. It argues that the industrial structure of shipping, and specifically the interconnected nature of shipping production chains, facilitated the globalization of union bargaining strategy, and the transnationalization of union structures for mobilizing industrial action. This, in turn, led to global collective bargaining institutions and effective union participation in global regulatory politics. This study uses a variety of source and analytical techniques, relying heavily on interviews with union official and other maritime industry people in many countries. Nathan Lillie is a Fellow at the Helsinki Collegium for Advanced Studies. His articles on international unionism and labor standards have appeared in the British Journal of Industrial Relations, Relations Industrielles/ Industrial Relations, and Environment and Planning-A. He is currently researching the role of labor in global governance.